Interior french drains are an extension of a sump pump. The purpose of installing an interior french drain is to help water drain into the sump pump pit when drainage is poor or non-existent. This is commonly found in older homes where the floor was poured directly onto clay or the backfill. 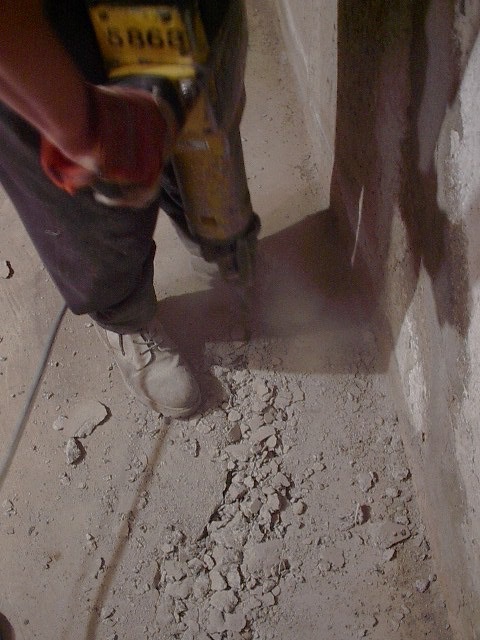 There should be a few inches of crushed stone under your basement floor, and if this is not the case, any water trapped under the floor will not be able to make its way to the sump pump pit and will most likely come up where the wall and floor meet. You will most likely need an interior french drain if your house was built on swampy ground or if there are underground streams nearby, which means the water is coming from underneath your basement floor. To install an interior french drain we would have to break the floor along the wall (approx. 18" wide) and dig what looks like a small trench leading to the sump pump pit. A layer of crushed stone is laid down underneath the actual french drain pipe and then we cover the pipe with crushed stone before we re-cement the floor. Most of the time water enters via the exterior and comes in from under the footing. 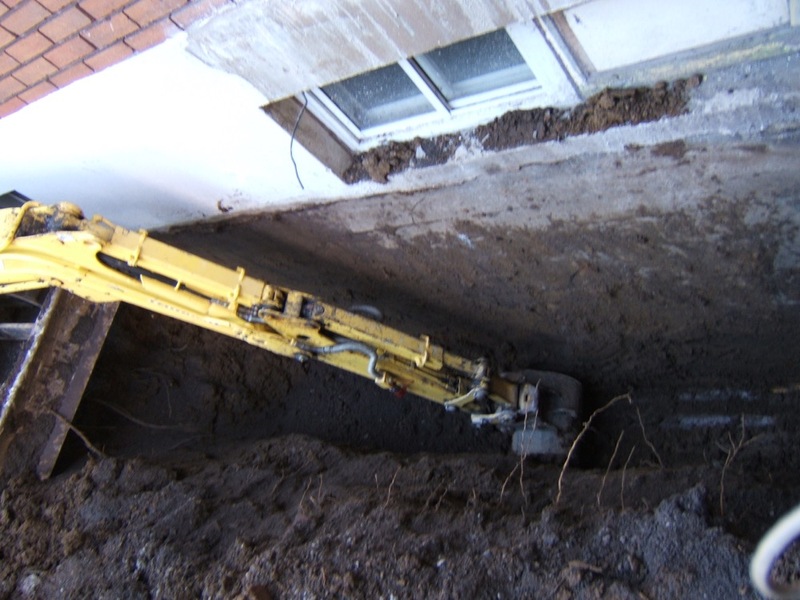 In this case we would have to install an exterior french drain, which would require some excavation of the exterior wall down to the footing and dig out about 2 feet from the wall at the bottom. 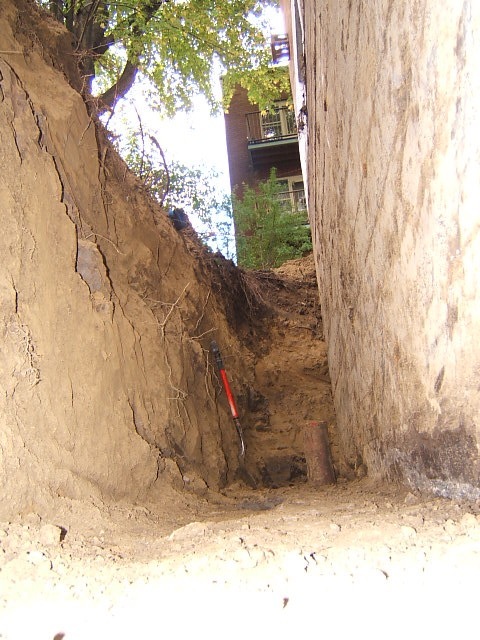 The trench would go under the footing from the outside to connect the exterior french drain with the sump pump pit. Crushed stone is then laid down around the entire area before putting the drain in place and connecting it to the pit. After the drain is connected, more crushed stone is laid down and the back fill is applied. While the wall is exposed we would encourage applying a waterproofing membrane to the exterior wall so that the entire foundation is completely waterproofed. If we find any cracks we would inject them with epoxy and we would inspect all the inlet pipes (main drain, water inlet) to make sure they are well sealed. If necessary we would inject those with polyurethane. The time frame to install an exterior french drain is usually between 1 - 3 weeks, giving time for the membrane to dry and accounting for rainy days. 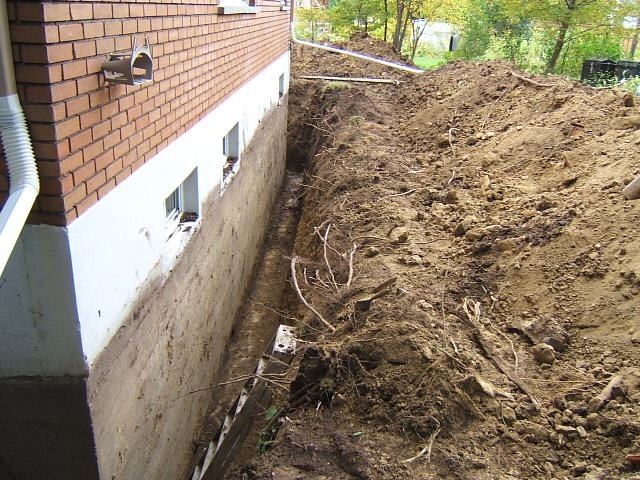 An interior french drain usually takes between 2 - 3 days to install and weather is not a factor.